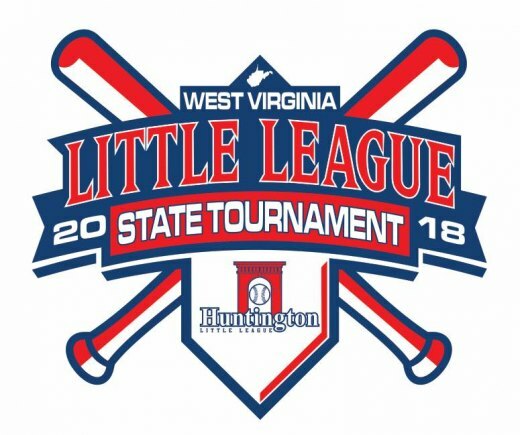 HUNTINGTON — The Huntington Little League at the Arch is proud to be the 2018 host of the West Virginia Little League Major League (ages 10-12) Baseball Tournament from July 19-25. A pair of teams each from the seven districts around the state will converge on Huntington’s Southside neighborhood for a chance to move on to the Little League Southeast Regionals in Warner Robins, Ga. with a win in the state championship game (starting August 3). All teams, coaches, players, and families will join together for a celebration on Thursday, July 19, at 5 p.m., at Camden Park, 5000 Waverly Road (U.S. Route 60 West) in Huntington (15 minutes off the Madison Avenue exit of I-64, turning left off exit). Players and coaches of teams get in free while other participants can enter for $10, and the event will have a catered meal at the “Tri-State’s Favorite Playground” — W.Va.’s only amusement park, and in business for over 100 years. Opening ceremonies are at the fields at 10 a.m. on Friday. Huntington Mayor Steve Williams and Marshall University baseball coach Jeff Waggoner will have remarks along with Huntington Little League President David Amsbary. Huntington’s Fire Department Chief, Jan Rader, will throw out the ceremonial first pitch. WV Little League District 1 Administrator Greg Adkins will also be on hand. The games begin Friday afternoon at the Huntington Little League, located at 700 Memorial Drive at the Memorial Arch. Huntington Little League has two fields — Field 1 is Jerry Straub Stadium and First Sentry Bank Field; Field 2 is David Glick Stadium and Adkins-Stewart Field. The Arch and Memorial Drive were built to honor 91 Huntington servicemen lost during the World War I conflict. Local teams playing are Barboursville and Ceredo-Kenova. All the games for these teams will be heard on ESPN Radio 94.1 FM and AM 930, streaming at WRVC.com. If the games overlap time-wise, C-K will move to Cat Sports 93.3 FM and AM 1340, streaming at catsports933.com. Both stations can also be found at tunein.com. Ceredo-Kenova (District 1 Runner-up) will face Jefferson (D6 Runner-up), Friday, July 20, at 2 p.m. (Field 2), game on Cat Sports 93.3 FM and AM 1340 (and streaming at catsports933.com). With a win — C-K will play Elkins on Saturday, July 21, 10 a.m. (Field 1); with a loss — C-K will play Loser of Game 5 on Sunday, July 22, at 11 a.m. (Field ). Barboursville (District 1 Champion) will have its first game versus Greenbrier Central (D4 Champion), at 3:30 p.m. (Field 1), game on ESPN 94.1 FM and AM 930 (streaming at WRVC.com). With a win — Barboursville will play Saturday, July 21, at 1:30 p.m. (Field 2); then play Sunday, July 22, at 3 p.m. for the championship of the bracket; with a loss — Barboursville will play losers of Charleston Central vs. Oak Hill on Saturday, July 21, at 4 p.m.
A video feed of every game will be available to be watched on the ESPN Radio Facebook page (found at www.facebook.com/ESPN941FM/). Teams will include District champions and runner’s up from each W.Va. District (numbered Districts 1-6, and 8, as there is no district 7). Barboursville was the State Champion last year in 2017.